My Fashionable Designs: Free Printable Planner Page - Christmas Theme! Hi everyone! I hope you had a nice Thanksgiving! Moving on to Christmas now!!! 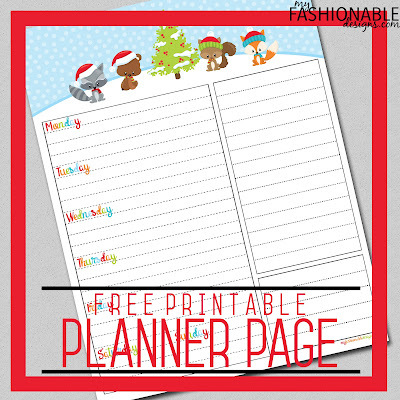 Enjoy today's freebie...a Christmas-themed planner page!